What’s AWS re:Invent? re:Invent is the Amazon Web Services learning conference for the global cloud computing community. The event features keynote announcements, training and certification opportunities, access to more than 2,000 technical sessions, a partner expo, after-hours events, and so much more. When Is AWS re: Invent? The Amazon Web Services re:Invent conference will take place from NOV. 25 – 30, 2018 in Las Vegas. 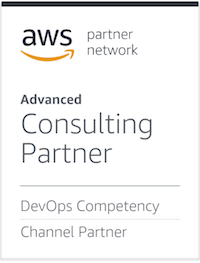 As an AWS Partner Network (APN) Advanced Consulting Partner, customers rely on Taos for cloud expertise in migrating, managing, and optimizing their AWS environments, allowing their teams to focus on business goals. Looking for us at AWS re:Invent? Come say hi to the Taos team and sign up for a complimentary Cloud Strategy Consultation. Let our Cloud Specialists examine your current state and recommend improvements based on AWS best practices. Stop by booth 2726 to learn more! Taos, headquartered in San Jose, California (USA), empowers enterprises to operate efficiently, rapidly innovate, and scale their business. As a comprehensive Technology Solutions Partner for nearly 30 years, Taos simplifies today’s complex digital landscape by providing both strategic and technical guidance while implementing transformative solutions. The company specializes in cloud strategic consulting, migration, and 24x7x365 operations and managed services powered by its DevOps practice. For more information, please visit http://www.taos.com.